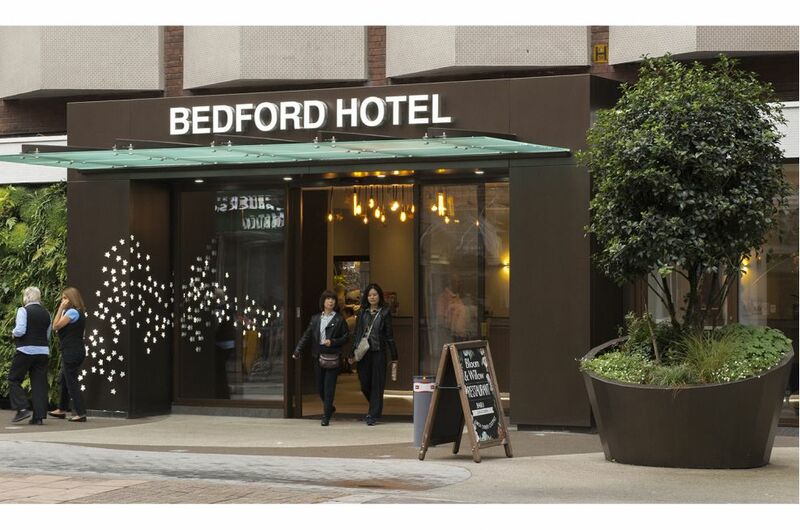 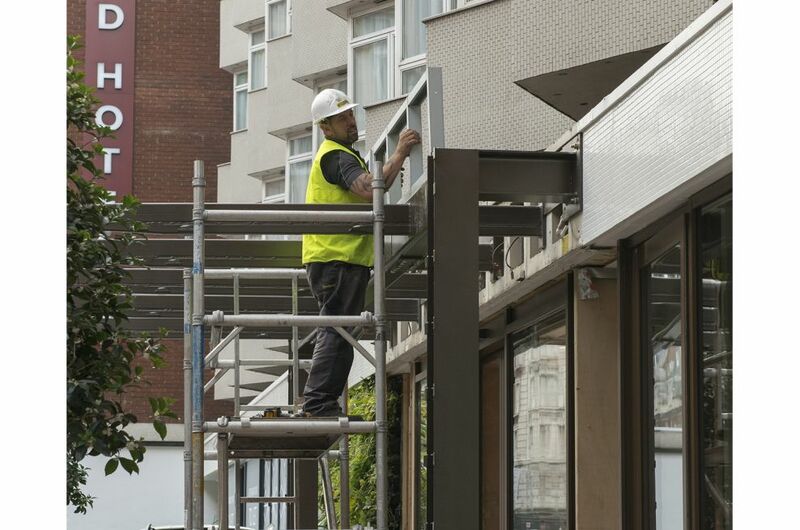 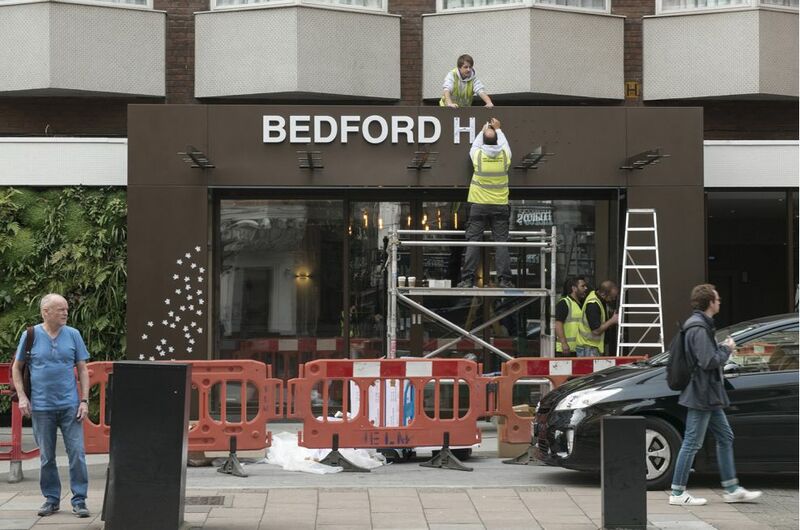 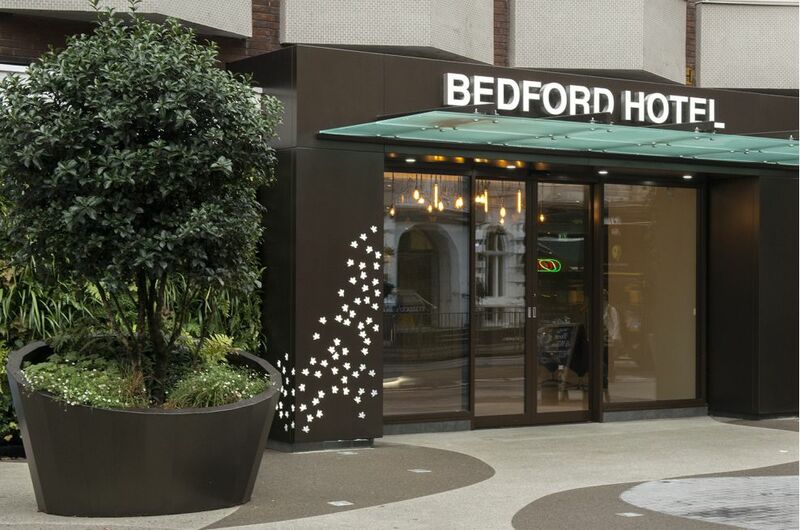 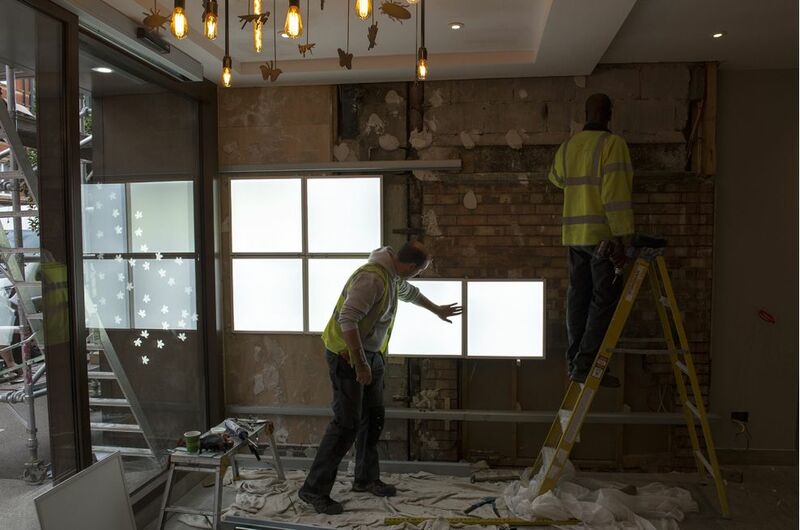 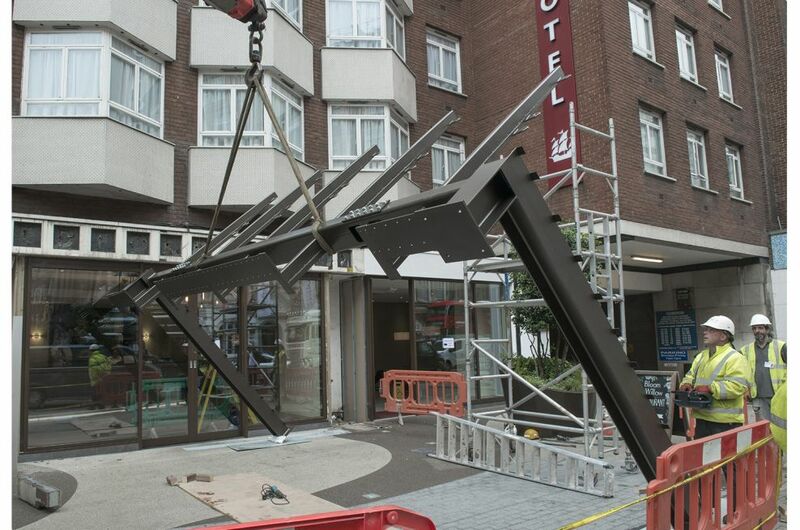 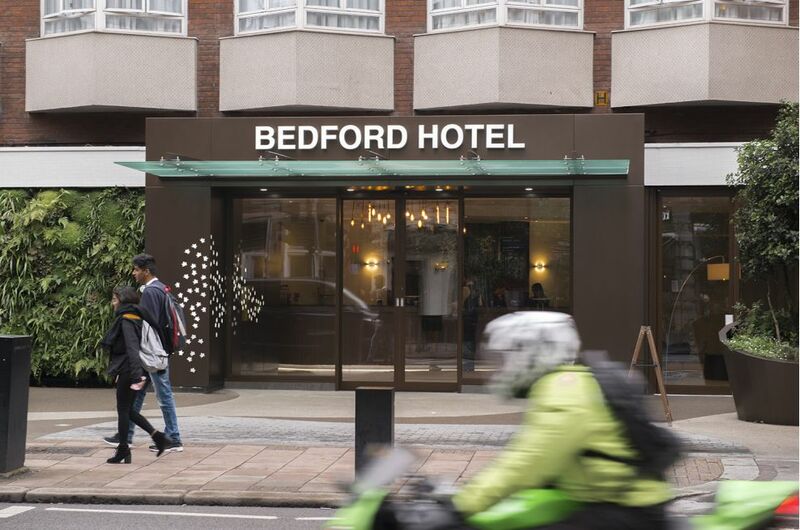 IOTA was contracted to deliver a new frontage to the Bedford Hotel on Southampton Row, London WC1. 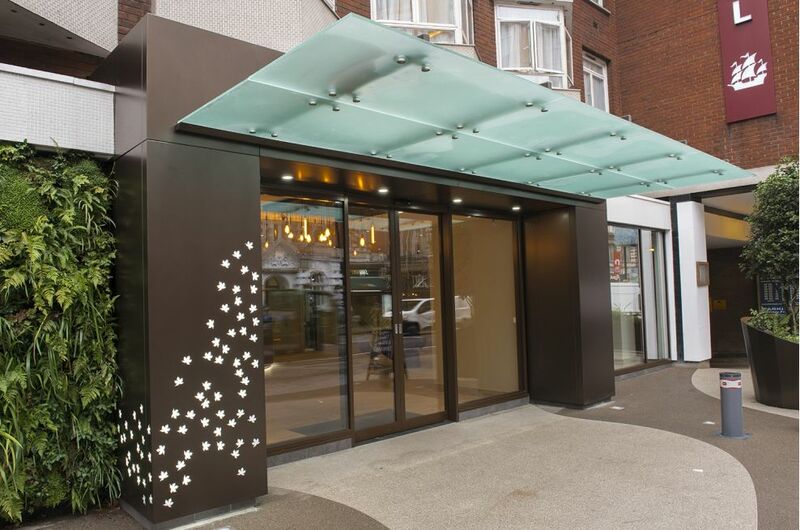 External cladding in 3.0mm Aluminium, powder coated to Tiger Drylac C34. 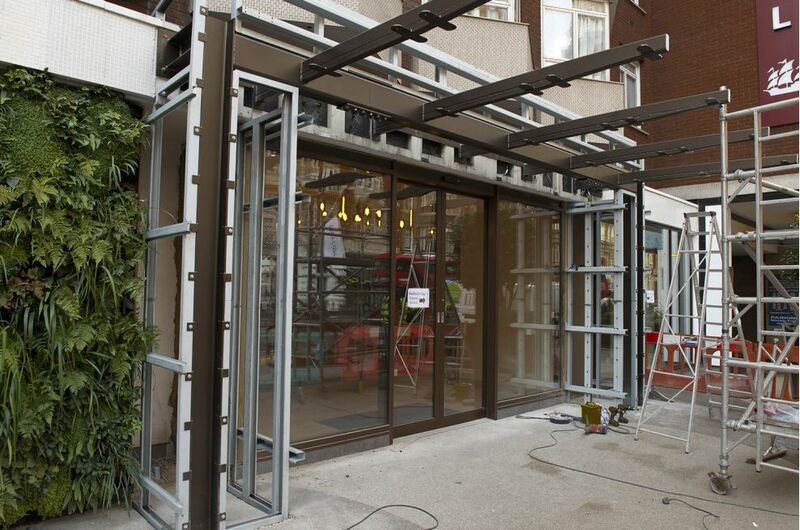 Internal cladding, as above, to entrance lobby. 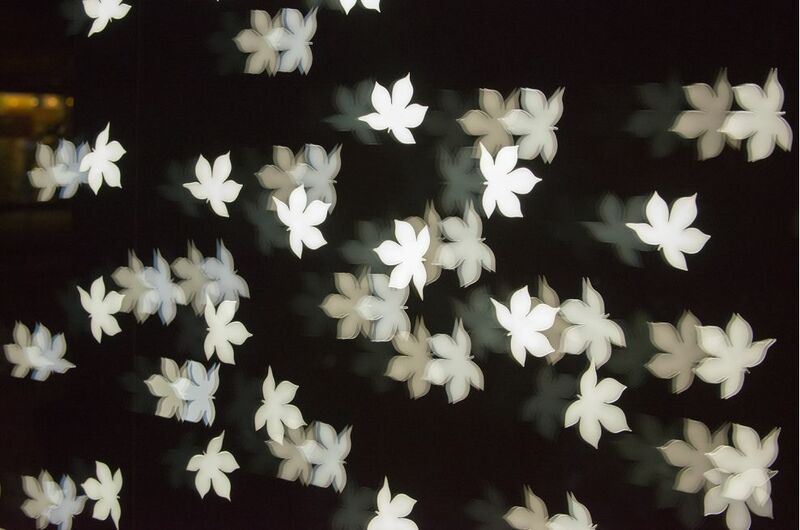 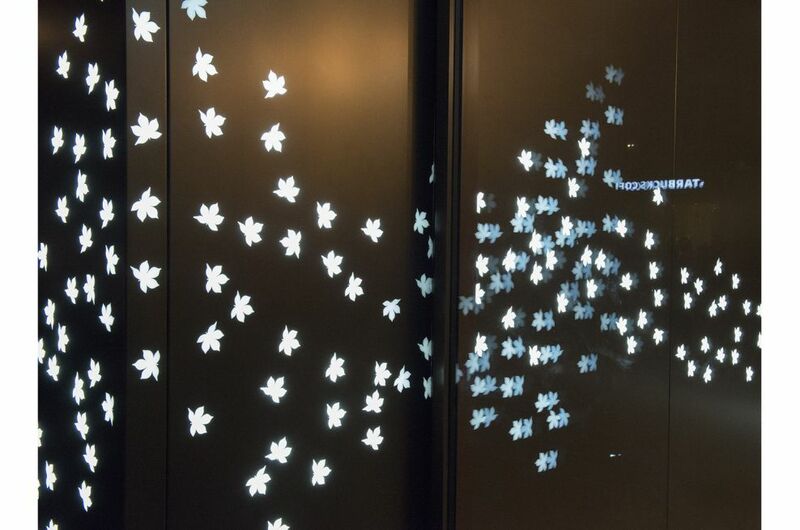 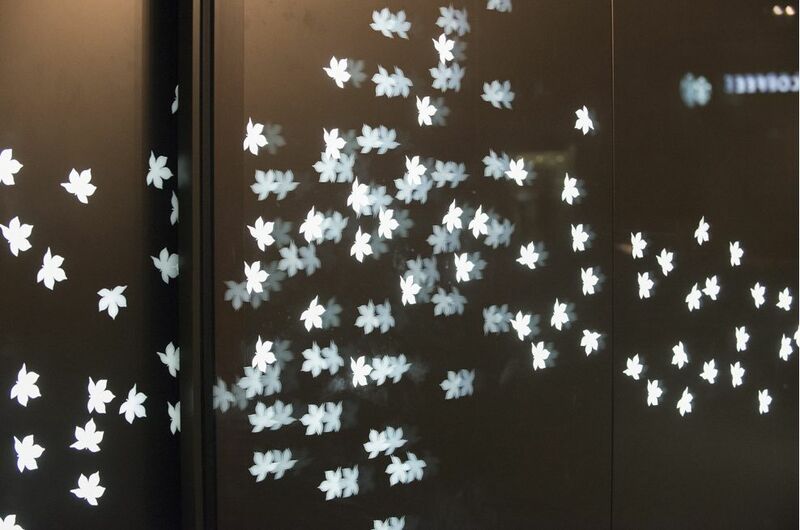 Laser cut-outs to external / internal cladding, in Acer leaf pattern, plus acrylic infills. 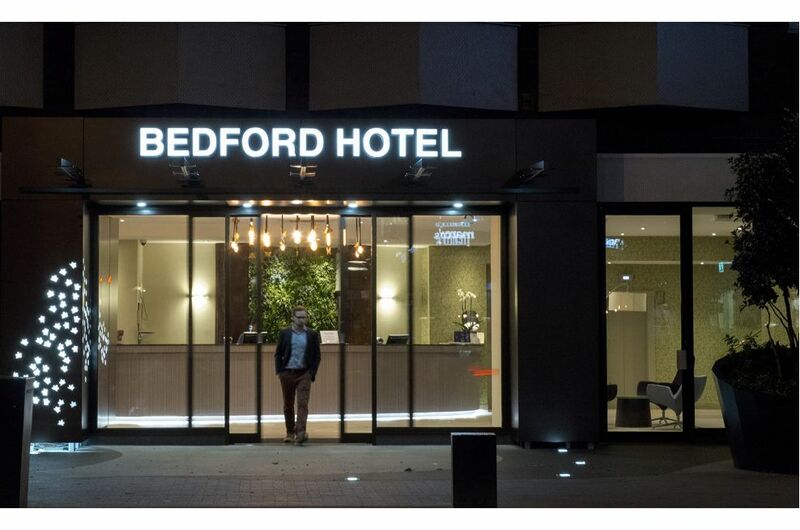 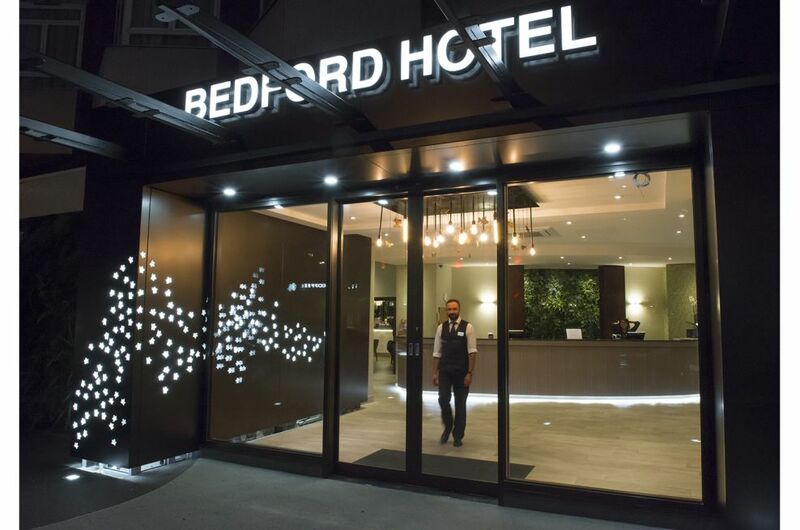 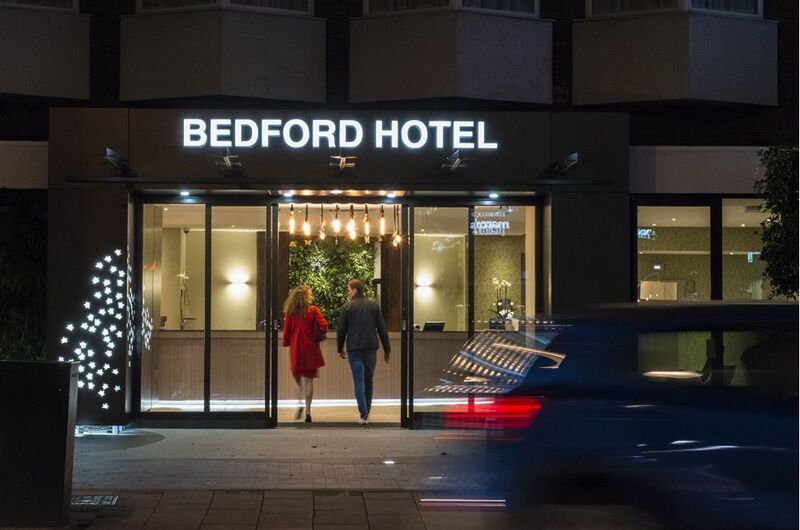 Bedford Hotel signage, in Stainless Steel plus acrylic lettering. 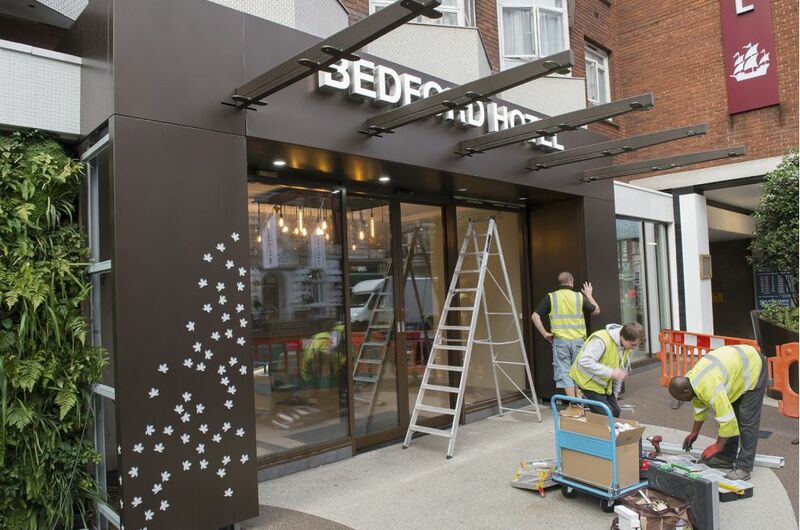 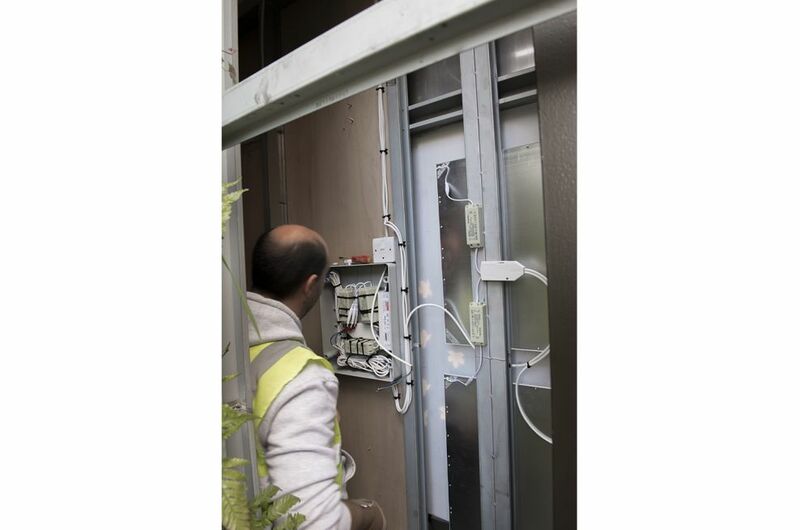 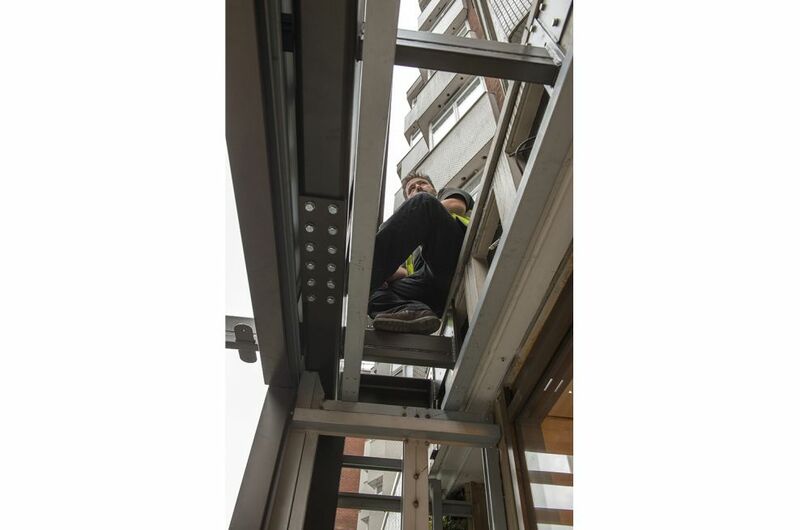 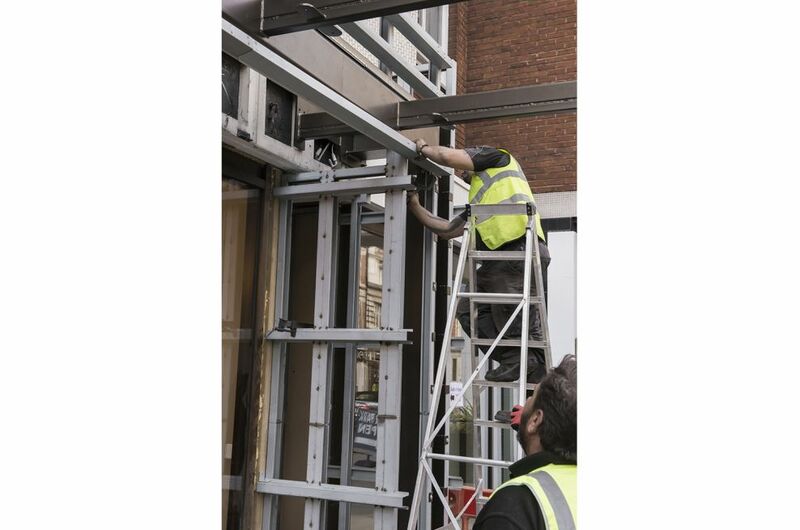 Electrical design and installation for lighting to cladding, signage and entrance arch. 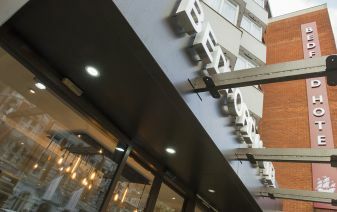 Selected shop drawings, plus project images, are downloadable [see DOWNLOADS section to right]. 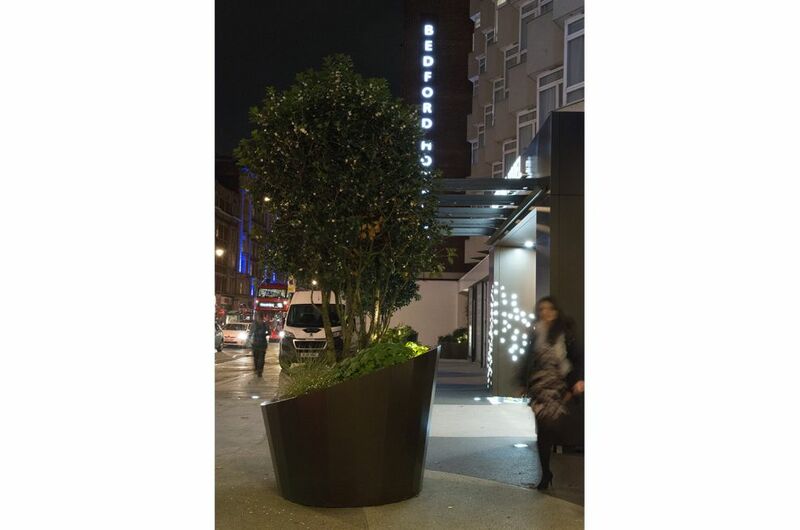 The design concept was by IPA Architects; and the works were commissioned by Connor Construction on behalf of the client, Imperial London Hotels. 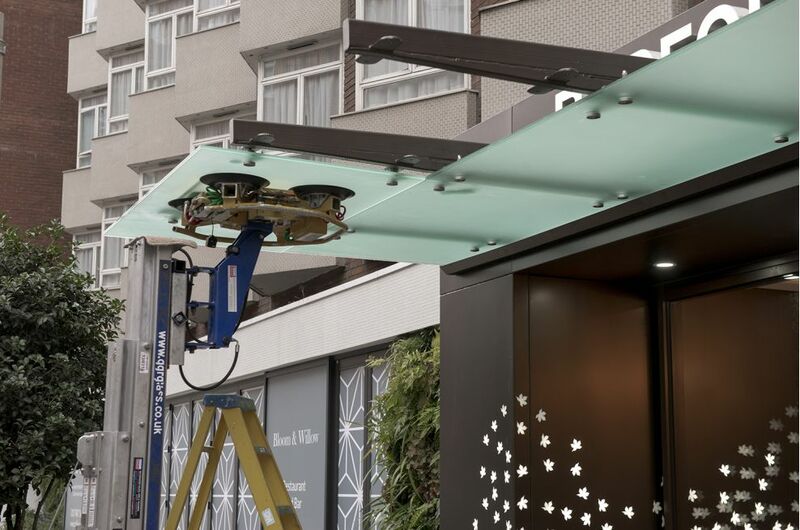 In a separate brief, IOTA was also commissioned to supply 5nr. 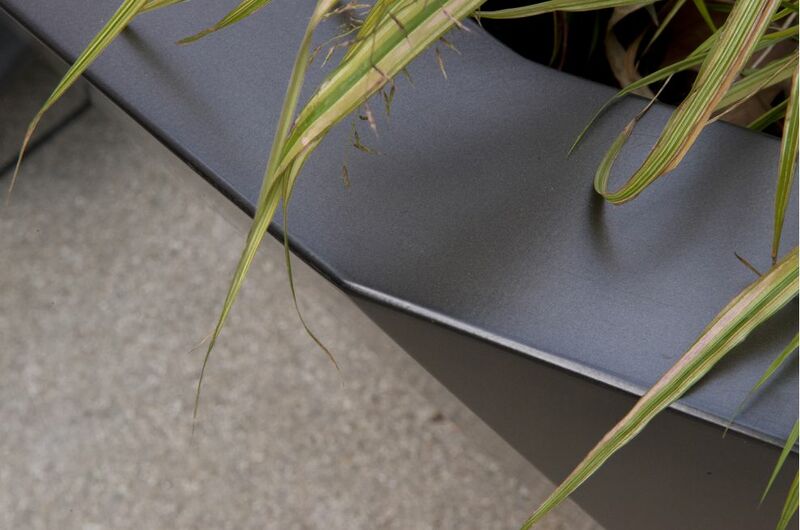 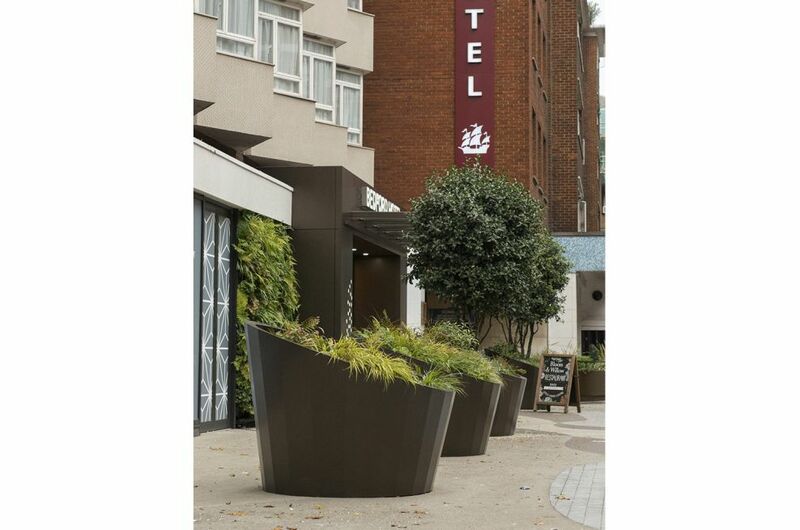 Zintec Steel planters, powder coated to Tiger Drylac C34 to match the frontage. 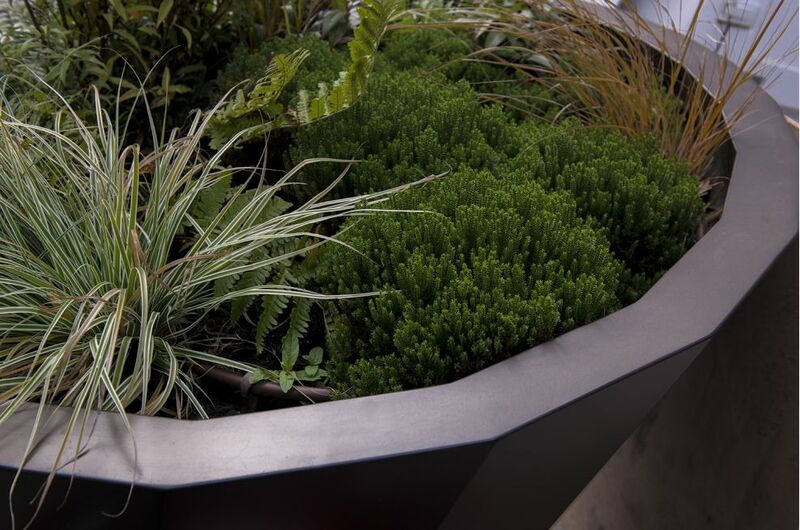 The most striking planters were Dia. 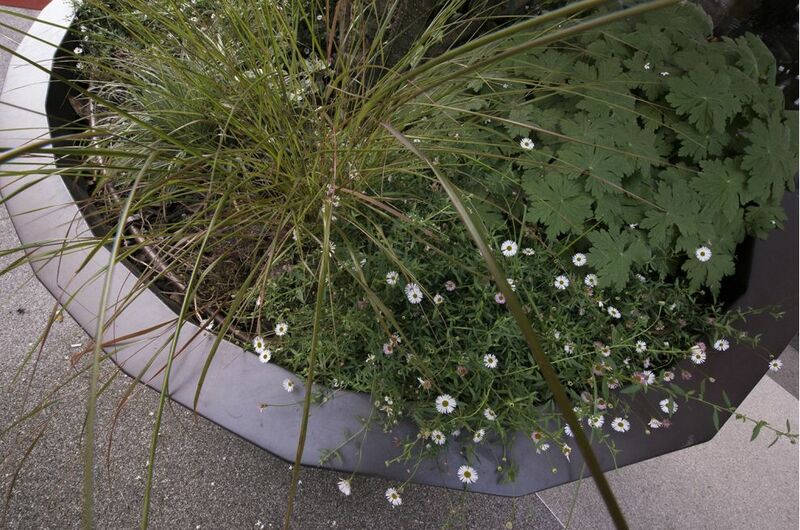 1980mm asymmetric cones, step-folded to create the complex form. 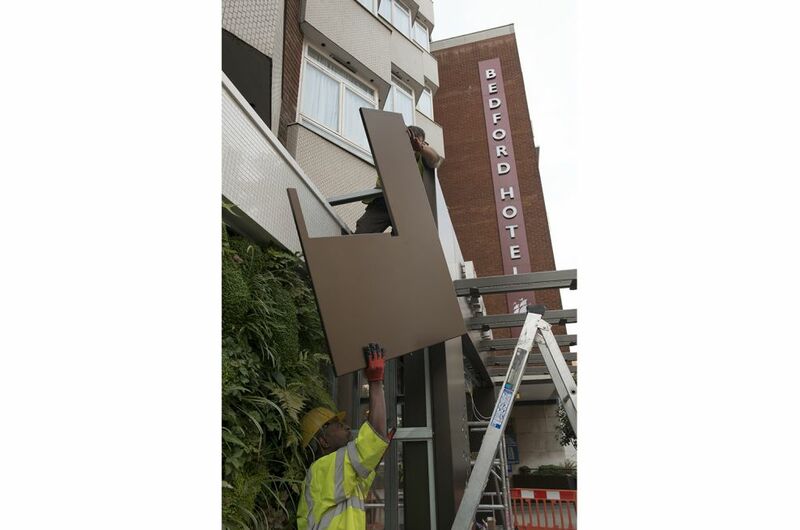 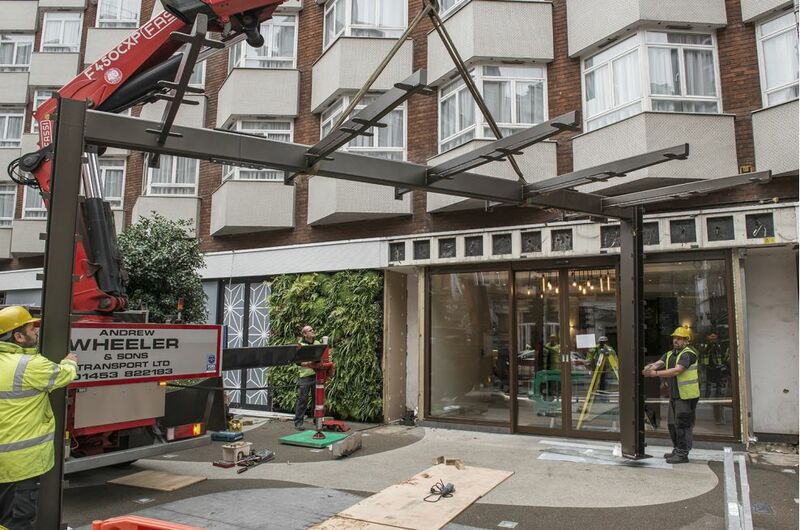 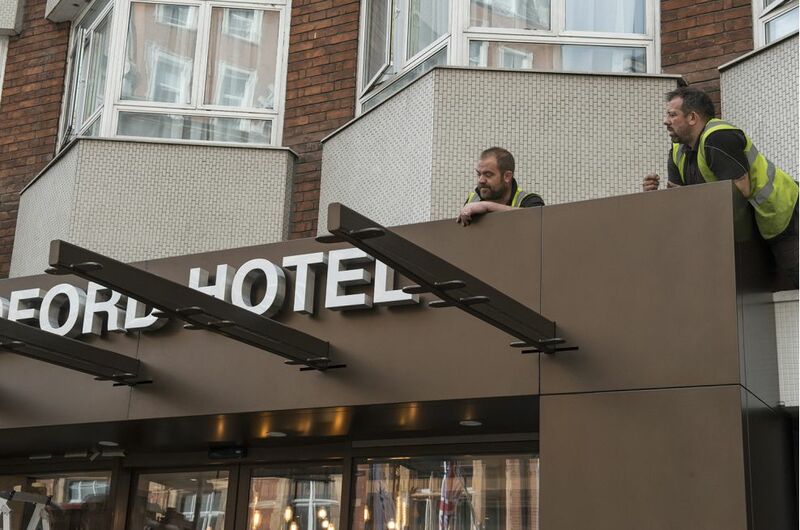 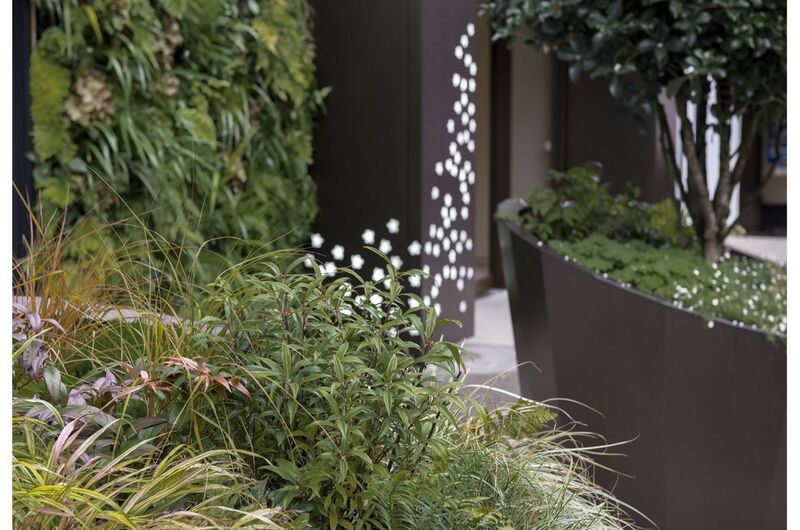 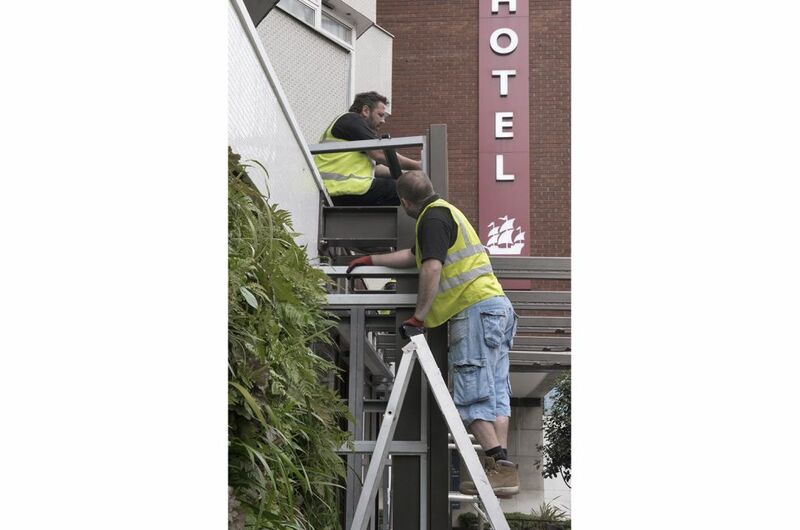 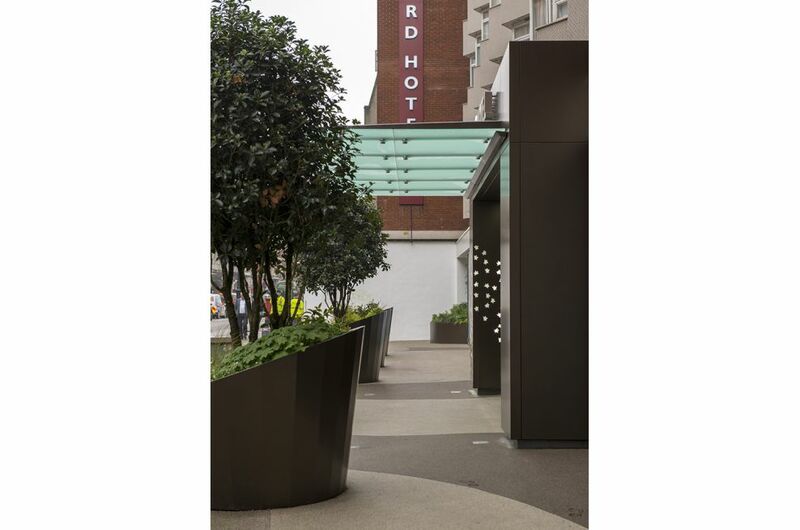 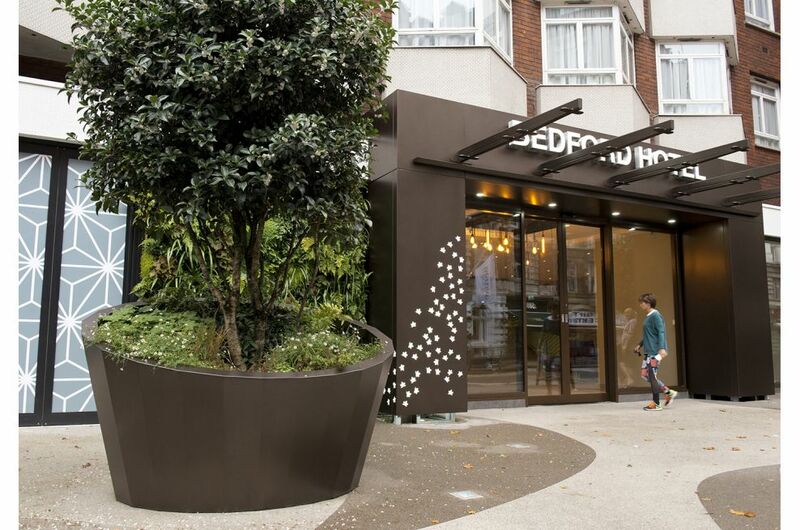 These planters were designed by Green Zone Design, and commissioned by Scotscape Landscaping – who were responsible for the green wall installation and pavement remodeling, which also formed part of the hotel’s exterior refurbishment. 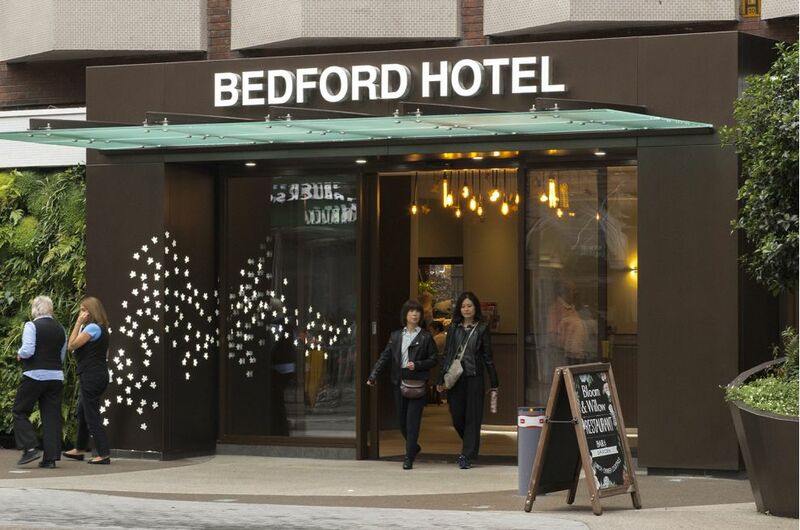 The Bedford Hotel is one of seven unique properties within the Imperial London Hotels portfolio, all of which are located in the heart of Bloomsbury. 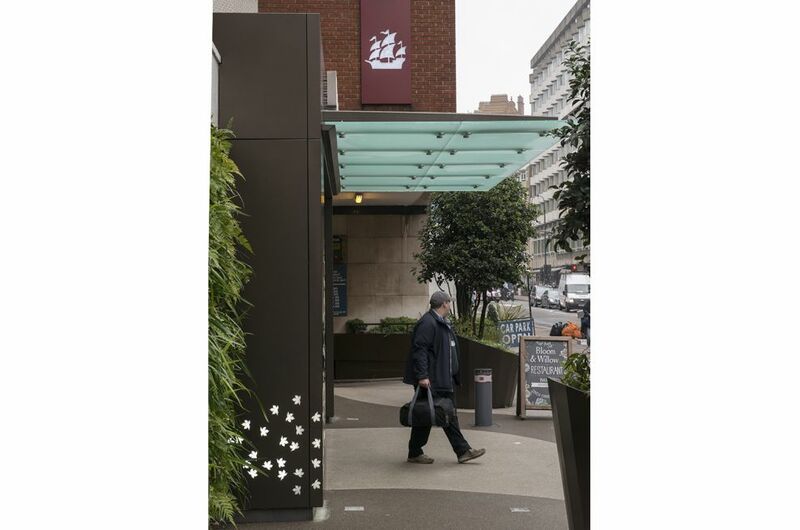 Imperial London Hotels has remained an independent, family-owned business since its inception in 1837, with an enduring focus on value, service and attention to detail.